Integrating research and business to deliver revolutionary medicine. Resverlogix is a drug discovery, development, and delivery company focused on transforming research and development of innovative drugs into the successful commercialization of revolutionary products. The company required a centralized location for all Resverlogix facilities including a head office. 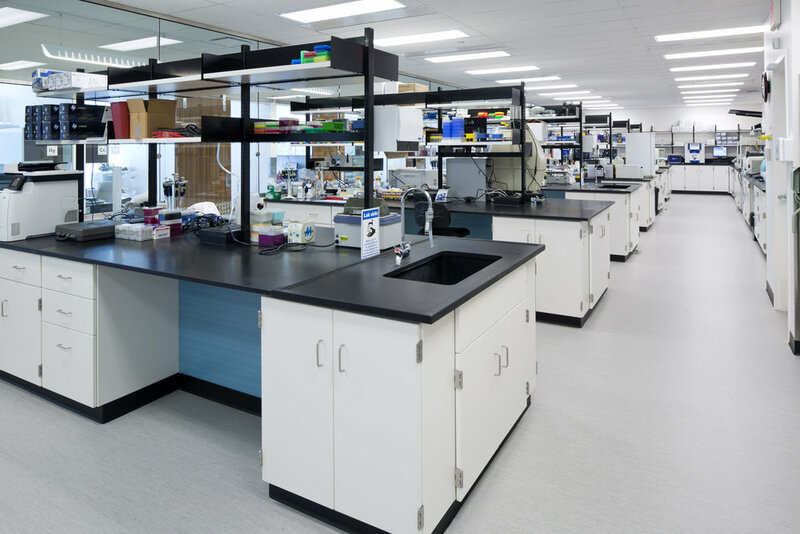 In the new facility wet labs/culture rooms and associated lab facilities occupy over half of the space providing ample room to conduct first class research. The dynamic work environment was designed to reflect Resverlogix’s innovation and progress while being respectful to the shareholders’ investments. 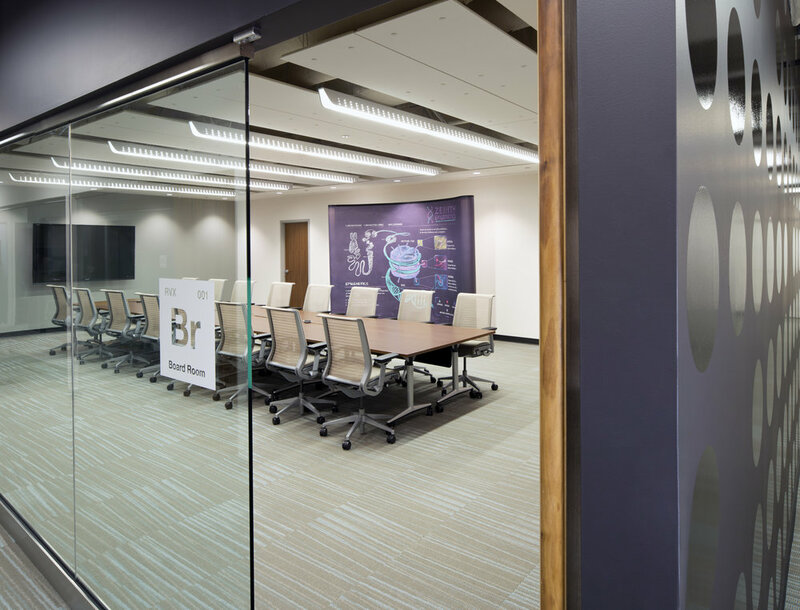 The client required an integrated space that connected the investment side of the business with the research side while maintaining enough separation to allow both sides to focus on their respective responsibilities. To achieve this we developed a glass partition which maintained the visual connection between the two spaces but created a physical and acoustic separation between the lab stations and the offices.